One thing that happens frequently is that we end up spending too much time on our music, and we reach a point where we can’t improve the sound anymore. It’s a bad spot to be in as you’re no longer excited about the song, you’re not making any meaningful contributions to it, and it’s chances of never getting released increase. So, let’s make sure we don’t get into a rut like that. So what’s the easiest solution??? Move fast. It’s incredible how well this works. Let’s look at why. This is the most important reason why working fast in productions is essential. You’re more easily able to keep the right frame of mind while working. I’m sure we’ve all been working on something for too long, and then that moment hits you where you can’t tell if the song is good or not. You might as well stop there, as for the most part, you’re fundamentally incapable of making critical decisions until you’ve taken a break at the very least. Now you’re just changing the song, not necessarily improving it. This can happen on a much more micro scale as well, especially if you’re producing music that has synthetic elements. Let me give you an example, let’s pretend you’re in dire need of an awesome synth sound for your production. You have the sound in your head, and it’s got to be that one. So, you open up your favorite synth plugin and go to town. You go through every preset, you tweak every knob, and you just can’t get that sound. Then you move onto your 2nd favorite plugin and do the same. After all of that, you killed two hours trying to find the perfect synth sound. And you know what probably happened in that time? You don’t even remember what you were looking for. It’s funny how when we restrict ourselves to a certain amount of time, the creativity comes out much easier. When it comes to things like tones of instruments, they become part of the overall sound, and you develop that by making tonal decisions on top of each other. What do I mean by that? I mean that the tone of the drums you selected might not feel right at the time, but it’s when you find that bass tone in the next step that works perfectly with those drums that you begin to love the drums. Focus on making tones work together rather than individually sounding awesome. When we move fast in our productions, we remained focussed, we retain perspective, and the quality of our work improves. One of the biggest challenges for bands/artists/producers etc. is having enough content. In today’s world, your career depends on you constantly releasing new material, whether that is music, photos, social media content, live shows, etc. You have to stay in the public eye to be relevant. So, an unintended benefit from moving fast is that you have more content! In this case, more music. As an artist, it takes you less time to make a new record, which helps you get your career onto the next stages, such as touring, marketing, and release. As a producer, we all know that our portfolio is our biggest advertisement. Most of the potential artists that we will work with will hear our past work somewhere else, and then come to us. So, getting more music out makes our organic reach that much larger and more effective! This leads to more artists, which leads to more songs, and on and on. There’s a lot of neuroscience research that suggests that the human brain’s ability to make split second decisions often far outweighs a more deliberate thought. Think about it, we often know whether we can trust someone within a couple seconds of meeting them, or we can sense a friend or foe almost instantly. This derives from our primal brain as the human race was developing. Our ancestors had to develop the neural centers to make quick decisions, such as to run or not, and therefore surviving or not. So let’s use this to our advantage. Our intuition is often a good choice to go with. So when you’re working on a production, trust your gut. When you find yourself saying things like, “Is this the right sound? I don’t know, it might be but it not might be,” then remember what you thought the moment you heard it and go with that. This again will reduce your decision making time and ultimately improve the quality of each decision. I read about this one alot. In any specialized field, we often try to figure out a new technique by trying it once with everything we got. We sit down and bang our heads against the wall, not seeming to get any closer. But maybe that’s not how it works. Let me give an example. Let’s say I’m learning how to use parallel compression properly. 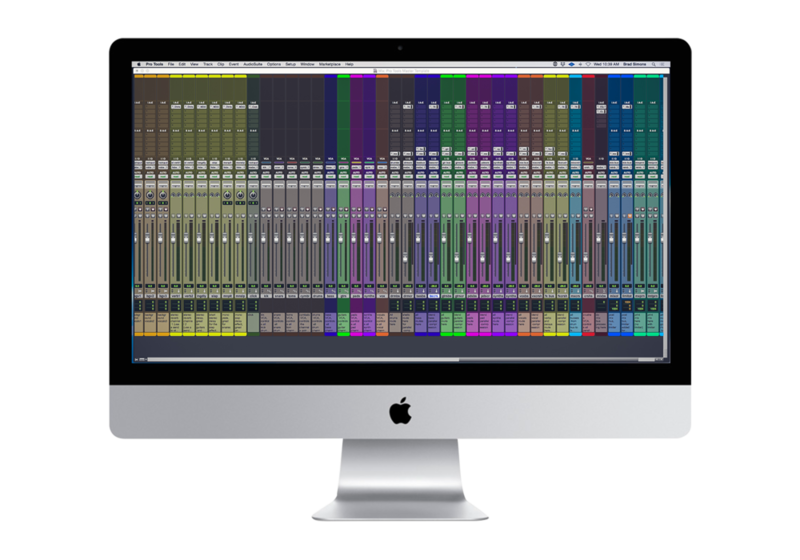 If I sit down at my Pro Tools rig and use parallel compression for the next 36 hours straight without sleeping or stopping, I’m still not going to be more proficient with it than I would be if I used it for 1 hour per day for 36 days straight. In fact, I would argue that you will be less effective, as you will have diminishing returns in your mental capacity. So move quick and don’t worry if you didn’t quite achieve the thing you were going for. There’s always another song, and you will get there faster by simply moving forward. I hope that helps convince you why you should move fast through your productions. If you have any more ideas on getting productions done faster and at a higher quality, please comment below! Click here to get free shipping on these books with Amazon Prime!